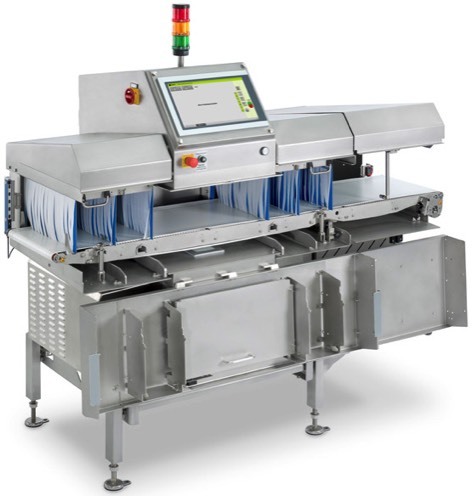 Compact design with small footprint the EX1 is available with both an integrated reject system as shown or a signal only shorter system for integration with checkweighing systems or existing rejects or when space is an absolute premium. A fully featured system with the latest X-ray and image processing technology. Complies with all retailer failsafe specifications and radiation safety standards. With an integrated reject. 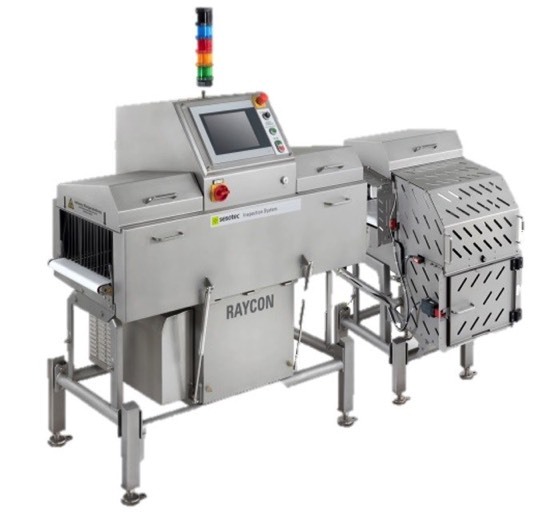 Two model variants are available, the Raycon D Medium handles packs up to 150mm high and 335mm wide whilst the large 200mm high and 580mm wide. 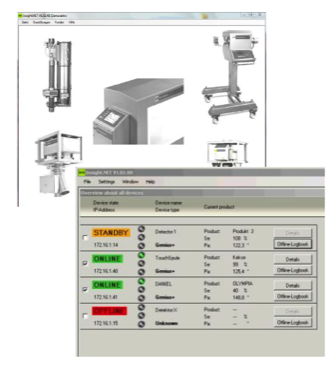 Both machines can be configured as true multilane inspection devices to enable production line convergence. Detection of metals stone, glass, rubber and high density plastics in addition to calcified bone. Rated to IP66. Shown with the device in cleaning mode to demonstrate ease of access to all internal components. Standard resolution to 0.4mm with Dual Energy option for irregular less dense contaminants and highly variable product densities. Rated to IP 66. 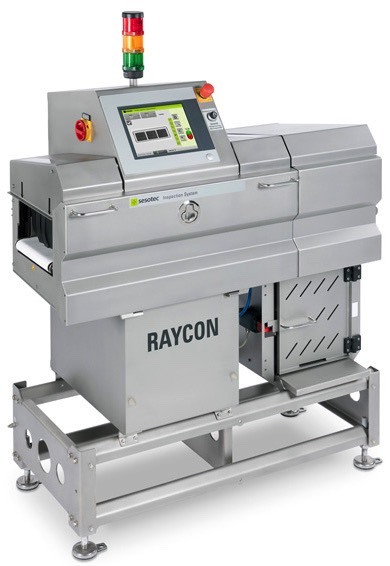 Integrate X-ray systems across the network and gain valuable production and quality control data. Automatic download and archiving of date and time stamped X-ray images for security and traceability.